Disney Interactive has been surprising fans of all ages with Disney Infinity playsets, a direct competitor of Activision’s Skylanders playsets. But after many years of milking Disney movie releases to regurgitate products like the ever-popular Frozen figures for Disney Infinity, Disney Interactive announced suddenly that they were cancelling Disney Infinity. 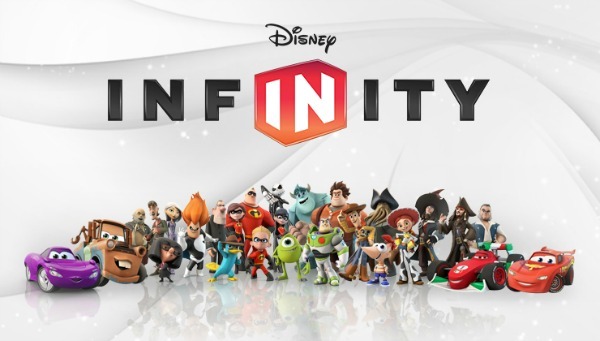 The news comes from an official blog post on the Disney Infinity website which briefly describes that Disney Interactive has chosen to cancel the franchise. While there wasn’t any reasoning behind the sudden decision, Disney did give some final plans of Disney Infinity before it finally shuts down. We have two final retail releases coming, including three new characters from Alice Through the Looking Glass later this month, and the Finding Dory Play Set launching in June. As reported by Business Insider, Disney Interactive isn’t just shutting down Disney Infinity, but it’s pulling out of video game production entirely, and paying steeply for it, a $147 million kind of steep. The news came after Disney’s quarterly earnings report, which was reported to have been lower than usual. While the news is shocking, it doesn’t come as a huge surprise. When I worked at GameStop a few years ago, it was noticeably obvious that there was a much larger audience for the Skylander toys-to-life game than for Disney Infinity. But even if that was the case, what does this mean for toys-to-life games? It’s possible with the new craze in virtual reality, toys-to-life games are being left behind and slowly the fans are moving on to better things (like putting yourself in a game rather than a toy). While I no longer work at GameStop and have no idea what the market is like anymore for these types of games, it’s probably appropriate to say these were on their way out a long time ago. Even if Skylanders still has an audience, it won’t be for long. Because even though Skylanders sold better than Disney Infinity at GameStop (usually during special sale days), it still hardly sold at all. Disney Interactive wasn't just responsible for the Disney Infinity games, they also published games like Epic Mickey, the battle-racing game Split/Second and Kingdom Hearts II. So if this really is the end of any kind of video game development for Disney Interactive, you have to wonder what they plan on working on instead. And if they don't plan on filling the gap where video game publishing used to be, what's going to happen those working specifically on Disney Interactive video games? There's a lot of speculation up in the air right now, but hopefully more details will leak out as the week moves forward. We’ll continue to keep you updated as the story develops.